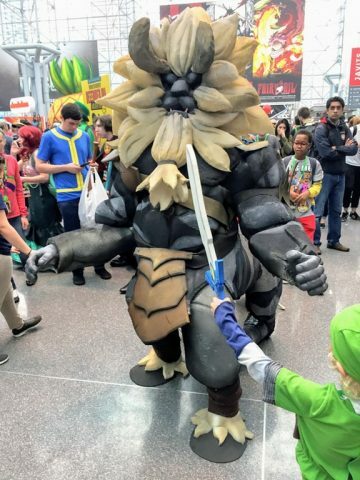 A Fierce Zelda: Breath of the Wild Costume Made from Foam « Adafruit Industries – Makers, hackers, artists, designers and engineers! I used pvc pipes to make the skeleton, , then wire mesh fencing to create the body shape. Over that, I used upholstery foam and carved in all the muscle details. 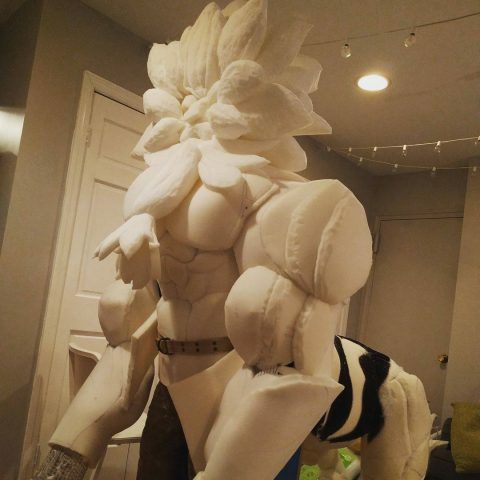 For the main body, I glued a bunch of upholstery foam and shaved the muscle details in, same as the lower body. And for the armor, I used Eva foam! It’s basically all upholstery foam with a pvc and wire mesh base! It’s hard to see the back of the costume in the above photo, but as you can see below, Cr4shProject built out the whole centaur. You can view more in progress pics at Instagram.